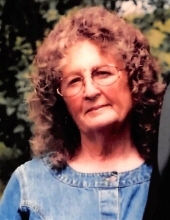 Lucinda Lainhart Isaacs was born May 22, 1940 in Jackson County and departed this life Tuesday, November 13, 2018 at the Central Baptist Hospital in Lexington, being 78 years of age. She was the daughter of the late Merrill and Ada (Johnson) Lainhart and the wife of the late Alson “Boney” Isaacs. Lucinda is survived by her children, Valerie Jones and her husband Kenneth Sr., Dian Malicote and her husband Glyn, Beverly Combs and her husband Keith, Kevin Lynn Isaacs, Mary Sue Toler and her fiancé David Isaacs and Phillip Shane Isaacs and his wife Christie. She is also survived by her grandchildren, Brooke Bellamy and her husband Kevin, Kenneth Jones Jr. and his wife Kristen, Keisha Combs, Dustin Combs, Brittany Toler, Sandra Isaacs Johnson, Lori Beth Isaacs and Arthur David Isaacs. Also by her great grandchildren, Elijah Jones, Morgan Bellamy, Wyatt Bellamy, Kenton Jones, Blaine Miller and Carson Miller. Lucinda is also survived by her siblings, Faye Mays, J.B. Lainhart, Hershel Lainhart, Herman Lainhart, Merelene Hisel and Martha Saylor. In addition to her siblings, she is also survived by a host of nieces and nephews. Lucinda was preceded in death by a brother, Earnest Lainhart. Lucinda was a member of the Kirby Knob Baptist Church. "Email Address" would like to share the life celebration of Lucinda Isaacs. Click on the "link" to go to share a favorite memory or leave a condolence message for the family.